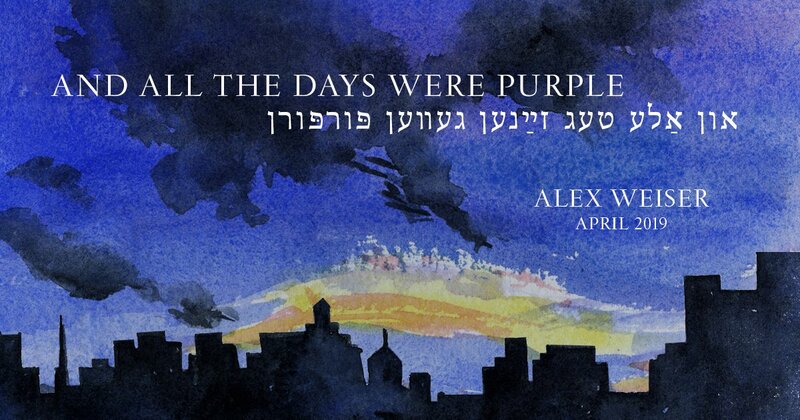 BONUS CONCERT Tues., April 9 at 7 PM - In conjunction with YIVO, help us celebrate the debut of and all the days were purple, a new album by composer Alex Weiser featuring Yiddish and English poems set to music. 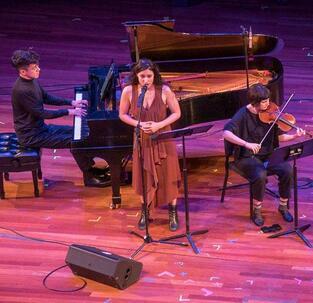 Bringing together poetry by Anna Margolin, Edward Hirsch, Rachel Korn, Abraham Sutzkever, and others, Weiser's work searches for the divine while reflecting on human longing in the midst of life's beauty and tumult. 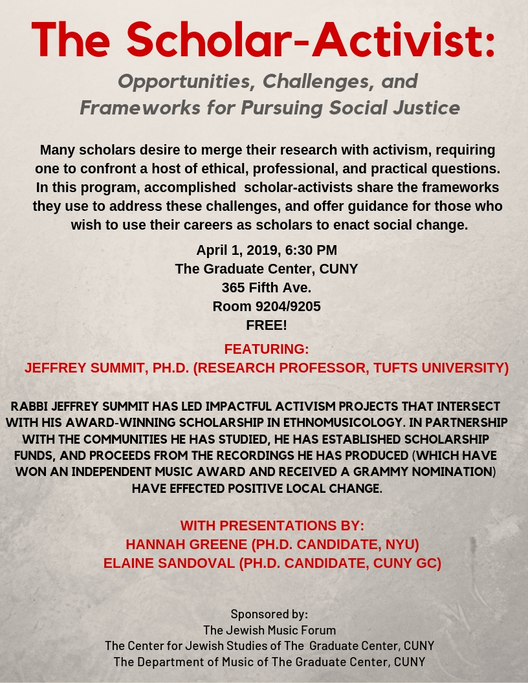 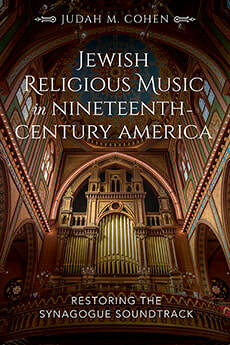 These new songs emerge in part from his encounters with Jewish music and Yiddish literary culture as Director of Public Programs at YIVO. 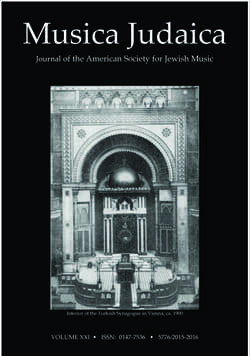 Performances by Eliza Bagg, Daniel Schlosberg, Maya Bennardo, Hannah Levinson,Hannah Collins, and Mike Compitello, will include a selection of songs from the new album, as well as the premiere of new arrangements of Yiddish and Hebrew songs from the YIVO Archives by composers Joseph Engel, Moses Milner, Lazare Saminsky, and Alexander Veprik, created by Weiser for the occasion.